Ten years after its inception, Chivas USA are no longer. As a subsidiary of Mexican club C.D Guadalajara, Chivas were seen as the perfect way to appease the strong growing latino community in California. 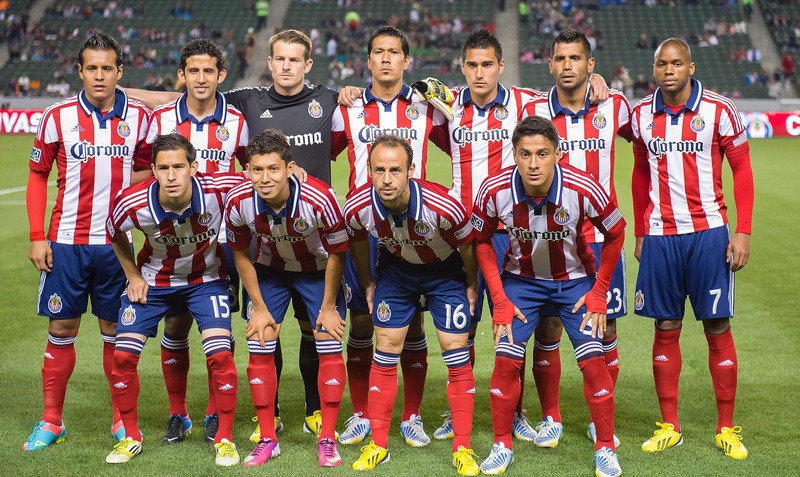 Forged in 2005 in Carson, a small suburb of Los Angeles, Chivas was the eleventh team to enter the MLS and was intended on being a nurturing ground for talent born out of Guadalajara. The experiment started slowly so when Chivas appeared to be making progress in the 2006 season under the management of Bob Bradley, the fans celebrated believing this was the beginning of something. It would turn out to be a false dawn with Chivas reaching the Western Conference play offs in style which in the end would be their best performance. 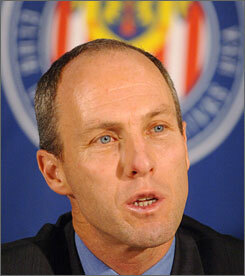 After Bradley left to take charge of the US men’s national team, Chivas went into freefall and with attendances dropping and turmoil both on and off the field; the decision was made to call time on the experiment with Chivas becoming the third MLS team after Miami Fusion and Tampa Bay Mutiny to fold. Playing second fiddle to the Los Angeles Galaxy with whom they shared a stadium was always going to be a challenge but given the population of America’s second biggest city and its diverse mix of residents, it was believed that there was enough passion in the city for two teams to survive. However as LA Galaxy evolved to become one of the most decorated clubs in the league, pulling in marquee signings like David Beckham, Landon Donovan and Robbie Keane, Chivas struggled day after day to keep up eventually falling behind to their now more popular landlords. Galaxy’s nine year head start did not help things so it was always going to be an uphill struggle for Chivas. Having now folded at the end of the 2014 season, Chivas will be picked apart slowly with all of its assets stripped out and taken by other clubs. The players will be split into two groups – those still under contract will be distributed to other teams by way of a dispersal draft in November whilst the players out of contract will be left to their own devices. Captain Carlos Bocanegra has already admitted he is calling time on his career whilst star player Erick Torres is likely to return to Mexico with parent club Guadalajara unless an MLS club snaps him up. Manager Wilmer Cabrera would like to stay in the US as a head coach but with only one position vacant at the Houston Dynamo’s, he may not get that opportunity. As for the club itself, the name and brand will disappear in the MLS archives, with the only record of the clubs existence listed in the history books. It is expected that an announcement will be made today by the MLS about a new LA based franchise due to launch in the 2017 season. The new club will be owned by an investor group lead by Vietnamese-American businessman Henry Nguyen, alongside several minority partners like Cardiff City owner Vincent Tan and LA Dodgers co owner Peter Guber. Many believe that the slot should be given to a city that currently doesn’t have a team like Las Vegas (as reported in a previous blog post) but Commissioner Don Garber appears set to hand Los Angeles a second chance to prove it can support two teams. Core mistakes were made by both the MLS and by the Chivas owners during its ten year residency in the league that must not be made again. However with the league now coming up to its 20th year, it is now a much slicker and well run organization than ever before. It has expanded beyond its original boundaries and continues to develop with a further three teams (Orlando City, New York City FC and Atlanta) joining in the upcoming seasons. LA will get its second side and another chance to show that it is a soccer mad city. The ghost of Chivas USA may still live in the city of Angeles for some time to come but in its passing a new dawn is emerging for LA and its soccer loving residents.